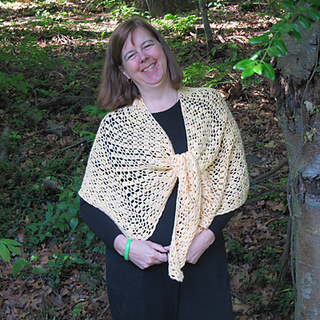 Wrap yourself in the embrace of the Rhapsody in Yellow Shawl. 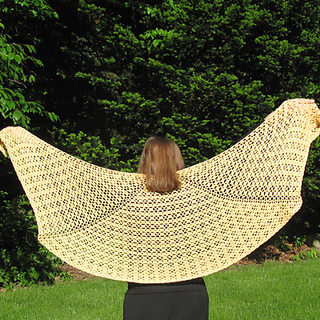 A simply elegant stitch pattern makes this pattern a pleasure. It’s lacy enough to be comfortable during the warmer days of spring and summer. 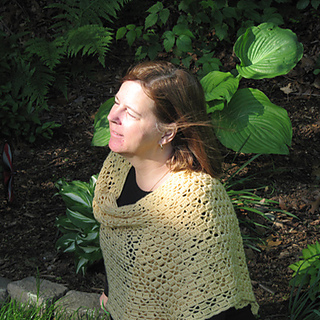 The straight line bottom is more flattering to larger figures than a more common pointed triangle shawl. The beautiful fabric and drape of the shawl will make it a treasured favorite.